Last Seen offers genealogists and researchers a new tool for telling family stories of separation and survival during slavery, emancipation, and Civil War. 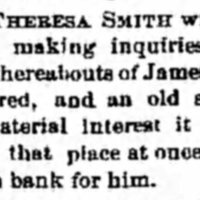 The site offers easy access to thousands of “Information Wanted” advertisements taken out by former slaves searching for long lost family members. 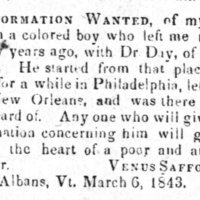 The ads taken out in black newspapers mention family members, often by name, and also by physical description, last seen locations, and at times by the name of a former slave master. 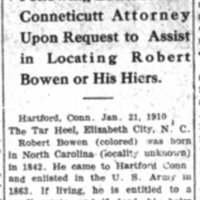 You can help bring this new powerful genealogical tool to life by transcribing these ads! Make your donation here to ensure this important work continues. 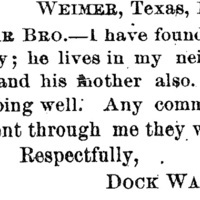 Here are some advertisements that resulted in reunions!